"What we worship can destroy us"
Into the Inferno is a 2016 documentary film directed by Werner Herzog. 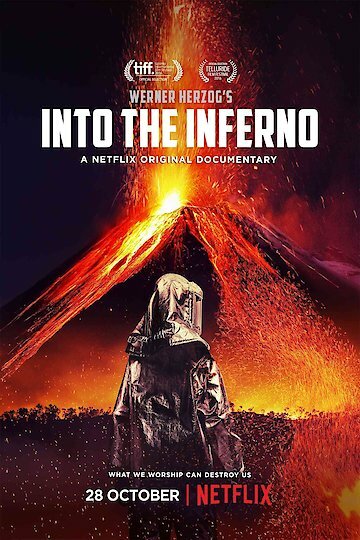 In it, Herzog explores active volcanoes from around the world, following volcanologist and co-director Clive Oppenheimer. Into the Inferno is currently available to watch and stream, download on demand at Netflix online.